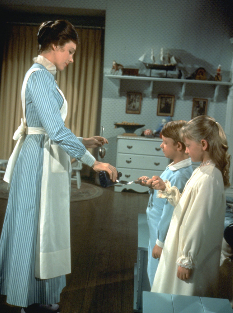 Mary Poppins was right; a spoon full of sugar does make the medicine go down. Let’s face it, learning isn’t always easy for students to lap up or teachers to impart. Thrown into the mix, is the ever present spectrum of behavior issues ranging from distraction and moving to all out acts of aggression. Very few teachers today have problem free classes and all too many have students who display behavior that is totally inconsistent with learning. A Spoonful of Sugar…Restorative Practices in the Classroom is a 3 credit Iowa license renewal course that will show educators why punitive practices are ineffective, lead to disaffected and underachieving students and play a role in the school-to-prison-pipeline. Participants will learn how to implement restorative practices from communication techniques and structures and supports to peace-building and peacemaking strategies in order to establish classrooms built on collective respect developing students with the tools and understanding to self-regulate and self-manage. It’s all about sugar and little about vinegar. Course objectives will be met through instructor designed lessons and activities, the course text, supplemental readings and videos, discussions & quizzes. This course is presented in a modified, self-paced format. Participants are expected to access the course and post regularly (at least once a week) and make reasonable progress, but there are no due dates attached to individual assignments. Instead there are 2 absolute due dates (mid-term and the last day of class) to provide flexibility and to better accommodate participants' busy schedules. The information and strategies presented in this course improve students’ ability to analyze, monitor and improve their behavior. It provides insight into how to help students reach a point where they are able to develop and maintain positive social interactions, develop and implement non-confrontational ways to meet conflict and use resolution and reconciliation to achieve both internal and external harmony, success and peace. *Punitive vs. Restorative: What’s the difference?